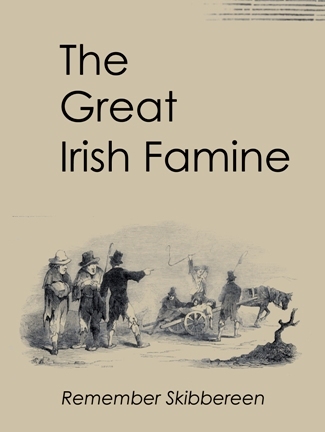 This 55-minute documentary is Skibbereen’s account and Ireland’s story of the Great Hunger. Made by the award-winning film-maker Harvest Films, this documentary includes interview with Professor Joe Lee, Professor Mark McGowan, Dr Larry Geary, Gary White Deer and local historians Gerald O’Brien, Paddy Hickey, Philip O’Regan and Terri Kearney. The film covers all the major events of the Great Hunger including local Famine relief schemes, soup kitchens, workhouses and mass burials.